Paratha or Indian flat bread is an excellent accompaniment for Indian side dishes; it tends to make even the simplest dal tastier. 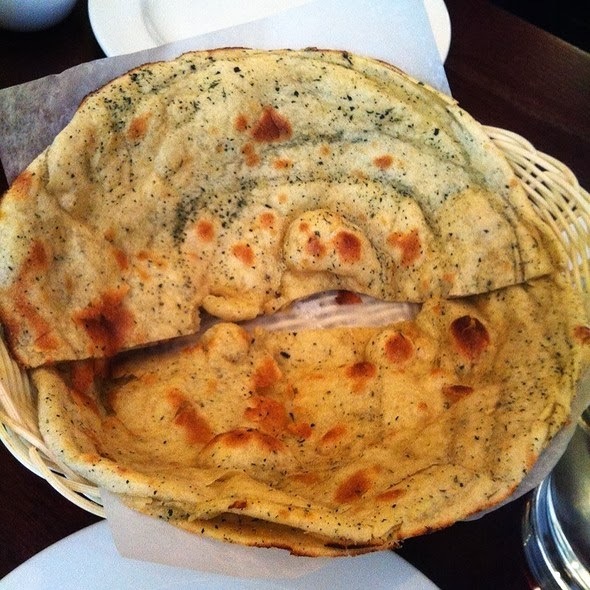 The word "Paratha" is said to be made up of two words : 'Parat' which means layers and 'atta' which means flour. In essence it is a multi-layered flat bread. Paratha comes in various flavours, shapes and fillings, the most popular being Aloo (Potato), Gobi (Cauliflower) and Pudina (Mint). I share with you few of my favourite time and home-tested paratha recipes. 1. Sieve flour and salt together into a bowl. 3. Take half the crushed mint leaves and dry roast on a tawa, till all moisture evaporates. Once crisp, crush them with your hand so they resemble Kasuri methi. These will be used to sprinkle on the paratha. 4. Mix the remaining fresh leaves with the covered dough and gently knead again. Divide into 4-5 balls. 5. To prepare the paratha, roll out into a thick chapati and apply butter on the surface. Sprinkle some flour and roll the chapati into a cylinder or fold alternately like a fan. Now roll this horizontally into a spiral ball shape and keep aside for 5 minutes. Repeat the process with the remaining dough. 6. Prepare chapatis again with the spiral rolls (if you want more layers you can repeat the process 3-4 times more) and cook on a hot tawa using butter / ghee / oil. Sprinkle the roasted and crushed pudina leaves while the chapati is still uncooked and press lightly with a flat ladle. 7. Cook on both sides till brown. Serve hot with desired accompaniments.